Update the current display with the latest data. Determine whether the IDE automatically refreshes the display when streaming data from the target. When selected, you need to click Refresh to update the display. Gather information about any memory leaks encountered. Take a snapshot of the current results. 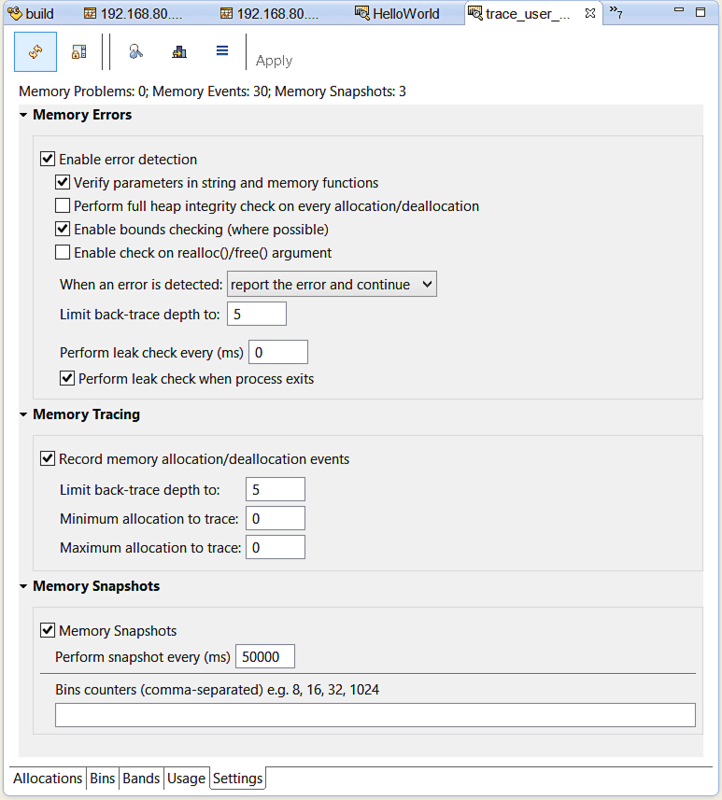 For a description of the Memory Errors, Memory Tracing, and Memory Snapshots fields, see Configuring Memory Analysis sessions.